Just because he was your first doesn't mean he has to be your last. 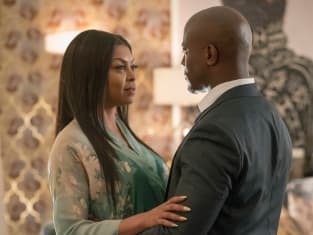 Empire Season 3 Episode 11: "Play On"
Your future will not be ruined again by the likes of that damn Lucifer Lyon. Permalink: Your future will not be ruined again by the likes of that damn Lucifer Lyon. Cookie: We were fighting. Bad. Candace: Not bad enough. You didn't kill him. Permalink: Not bad enough. You didn't kill him. Empire Photo Preview: Tory and Jamal Hit the Studio!